For the most part, the 2019 Toyota Tacoma carries over unchanged from last year – with the notable exception being some exciting new equipment for the rugged 2019 Toyota Tacoma TRD Pro. Of course, when you’re the nation’s top-selling midsize pickup truck, you don’t need to change much. 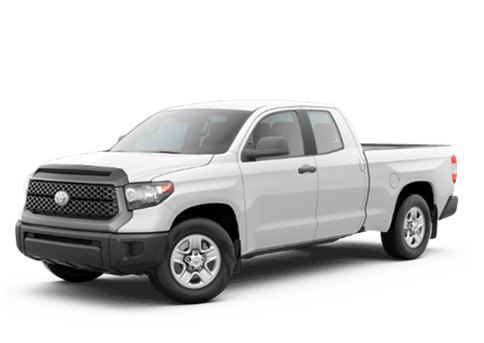 If your interest in “Toyota cars near me” is specific to pickup trucks, we recommend test driving the 2019 Toyota Tacoma at our nearby Toyota dealership. There are six trims to choose from, and two available engines. One is the 2.7-liter four-cylinder worth 159 hp and 180 lb-ft of torque that pairs with a six-speed automatic transmission and either rear-wheel drive (RWD) or four-wheel drive (4WD). The second is the 3.5-liter V6 engine, which churns out 278 hp and 265 lb-ft of torque, and mates to the six-speed automatic or a special six-speed manual gearbox that’s only available in 4WD models. The Tacoma excels with offering a maximum 6,800-lb towing and 1,440-lb payload capacity. Along with these terrific engine picks, there are different cab and bed sizes to consider, with the end result being a high level of personalization. The experienced team at Bob Smith Toyota in La Crescenta, CA will help you select the setup that best suits your needs. The 2019 Toyota Tacoma near Glendale, CA is one of the safest pickups around, earning a four-star score from the NHTSA for overall safety, including a perfect five-star rating in side-crash testing. As with every Toyota vehicle, this sublime midsize truck comes standard with the Toyota Safety Sense™ P suite, which features lane-departure alert, adaptive cruise control, forward collision warning with automatic braking, and more. Given the 2019 Toyota Tacoma model’s large trim lineup, you can be sure there are a lot of special features to experience when you visit our Toyota dealership at 3333 Foothill Blvd in La Crescenta, CA. Off-road enthusiasts will definitely want to test drive the 2019 Toyota Tacoma TRD Pro, whose newly available high-mounted snorkel air intake joins other features like Fox internal bypass shocks and a thicker front skid plate. There several more off-road-focused special amenities to consider, along with abundant comfort/convenience options, such as heated front seats, leather upholstery, and a sunroof.